What Moto Gear Do You Need or Plan to Get? What is your lunch plan in Occidental on 3/10/13? Please indicate yuor lunch plans so that we know where people will be at during lunch break. Lunch break is 1 hour 15 minutes. Please be back and ready to leave no later than 1 hour 20 min from when we arrive. We wil stage near Union Hotel to leave. Saturday 8/28/2010 - Where do you like to ride? 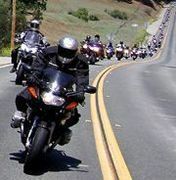 Best Weekend for the Annual Calistoga "Spa Run"
Each year we put together a group ride to Calistoga and we call it "Spa Run". Riders go solo or 2-Up. Some spouses or significant others even drive to Calistoga and join us there. We leave Bay Area Saturday morning and arrive there in early to mid afternoon so people will have time to get some R&R, such as spa treatments, mud baths, etc, or just enjoy a nice afternoon in Calistoga. We generally stay at Calistoga Inn where on Saturdays eves there is live music. We have dinner at the pub while enjoying the music, drinks, dancing and good company. Sunday morning we leave after breakfast and head home. If our route is clockwise, we start the ride from the coast to Calistoga and return by way of Lake Berryessa. If route is counterclockwise, it’s the reverse. It’s now time to do a little pre planning and get an idea about the weekend that is best for you. Which dates are best for you: July 24-25, August 14-15, Sept 4-5, Sept 11-12?